The year was 1999. Ernst Mikael Jorgensen sat nervously in the lobby of the Hotel Nikko in Beverly Hills, Calif. A man who grew up reading detective novels in his native Denmark, he was about to experience a cloak-and-dagger caper of his own making. A middleman chosen by a jittery seller would soon deliver 25 Elvis Presley tapes stolen from RCA long ago, including the master for "Heartbreak Hotel" and the outtakes for "It's Now or Never." Carrying a bag stuffed with $10,000 in cash, Jorgensen was so edgy that the night before he hadn't been able to eat. He didn't dare leave his hotel room with that much money. He never learned the name of the seller, but he got what he came for -- no surprise to those who know the tall, mild-mannered Dane as the Columbo of rock. Jorgensen, a record producer/compiler/researcher, has earned a reputation not only for ferreting out Presley's lost recordings, but also for cataloging the King's music and documenting elusive concert dates. Today he rides his own private "Mystery Train" as one of the premier redeemers of Presley's legacy as an electrifying performer and seminal recording artist. Without Jorgensen's work chronicling Presley's recording sessions and artfully preserving and packaging his BMG catalog, the image of the singer at the end of his life -- a sad self-caricature -- might have lingered in the American consciousness. Instead, Presley is largely remembered the way Jorgensen thinks of him, as "probably the most important star of all time." Just how the 53-year-old Jorgensen came to rescue Presley's creative standing and put him back on the top of the charts decades after his death is a story so unlikely it could be the subject of a Hans Christian Andersen fairy tale. It all started in the early '60s with Jorgensen's sister, who bought the singles "It's Now or Never," "(Marie's the Name) His Latest Flame" and "Little Sister." The last is "the one that really caught my attention," Jorgensen says. Jorgensen didn't get his own record player until 1963, when he was 13. The first albums he bought were by the Rolling Stones and Bob Dylan. 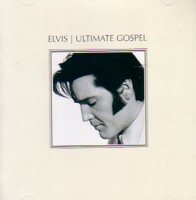 But he also began collecting early Elvis Presley records. By 1967, however, when Presley sang "Old McDonald" on the soundtrack to the movie "Double Trouble," Jorgensen recalls in his Nordic accent, "I found it very hard to defend my appreciation for Elvis' music." PUT ON THE PATH Then came "Big Boss Man," which rekindled Jorgensen's passion and set his destiny. "I couldn't understand how an artist could go from the absolute ridiculous to the bluesy character of 'Big Boss Man.' Underneath all the movie trash were, from time to time, wonderful recordings that seemed to come from a different planet and even from a different artist. But I was a fan of detective novels, and history was my favorite class in school, so I thought, 'I want to find out.'" The 16-year-old ran smack into the dictate of Colonel Tom Parker, Presley's longtime manager, of withholding information, even about when the records were made or which musicians played on them. Along with two friends, Johnny Mikkelsen and Erik Rasmussen, Jorgensen began a fierce letter-writing campaign to RCA, and later to musicians' unions and engineers. He learned how master serial numbers indicated when songs were recorded and assembled as much minutia as possible about Presley's recording sessions. "It was an obsession, the detective work of it," he says. In time, Jorgensen and his friends acquired the early paperwork of legendary RCA VP of pop A&R Steve Sholes. Jorgensen also began corresponding with Presley's producer, Felton Jarvis; shortly after the singer's Stax sessions in 1973, Jarvis shared with Jorgensen details of 10 new tracks that wouldn't be released for another year. The three Danish researchers began self-publishing pamphlets of the information they had compiled, and soon Jorgensen attained a certain notoriety, as well as an inkling of his future. Years later, the pamphlets would form the foundation of his exhaustive 1998 book, "Elvis Presley: A Life in Music-The Complete Recording Sessions," which is recognized as a definitive reference. Originally planning to become a teacher, Jorgensen moonlighted as a mailman to support his studies at the University of Copenhagen. But he dreamed of a way to somehow get involved with Presley's music. Dropping out of school in 1976, he took a job at a rack-jobber, and his career in the recording industry began. At one point, he started his own label, It's Magic. But a job as GM of PolyGram Denmark led to his appointment as managing director of BMG Denmark in 1988, when he was 38. The job Jorgensen had prepared for all his life -- overseeing the Elvis Presley catalog -- dropped into his lap shortly after he started working for BMG. 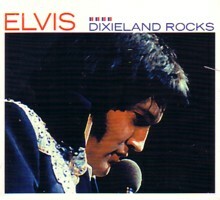 The company had owned Presley's recordings since acquiring RCA in 1986. In fact, BMG's administrative departments were using Jorgensen's 1984 recording-sessions compilation, "Reconsider Baby" (written with Rasmussen and Mikkelsen), as their guide. Still, BMG continued to treat Presley the Colonel's way -- that is, with a carny attitude toward "the cheap way to get a buck," as Jorgensen puts it. Many of its albums seemed thrown together, with uneven material, lackluster themes ("Something for Everybody") and inferior artwork. In Jorgensen's view, there was no attempt to put out a quality product that reflected the singer's artistry or the magnitude of his contribution to American popular music. "At one meeting," Jorgensen recalls, "I stood up and asked, ˜Why are we treating the Elvis catalog so poorly?' The guy who had hired me, [late BMG International president] Rudi Gassner, looked at me coldly and said, 'Well, if you're so smart, why don't you do [something]?' And I said, 'Yep, thank you.'"